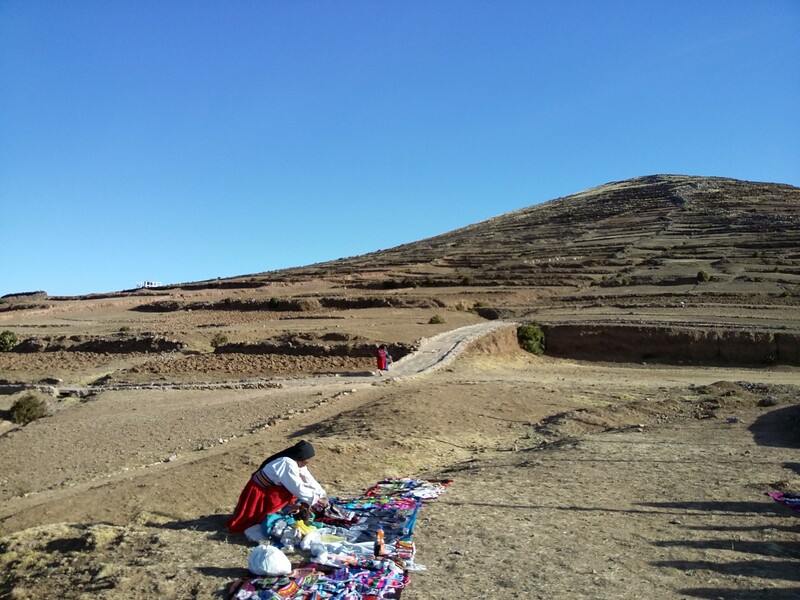 Given the challenging conditions faced by people across Peru – from the isolated villages of the Amazon to the unforgiving Andean highlands – it should be no surprise that people have found a way to make a living in Titicaca, the world’s highest navigable lake. 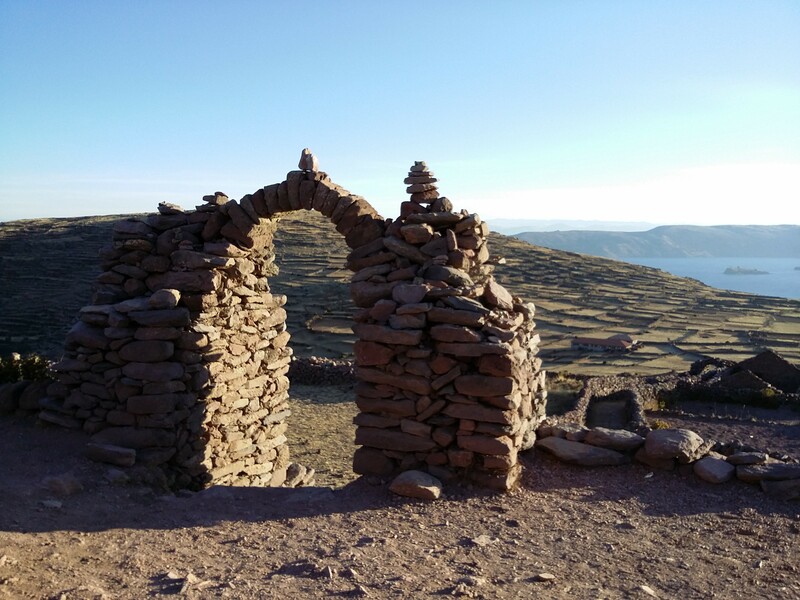 I headed out on a two-day tour of Lake Titicaca to see for myself what life is like for the people who call it home. The tour started with one of the most singular peoples in the whole world – the Uros – who for centuries have constructed whole floating islands out of totora reeds, a long cane-like grass which grows abundantly in the shallows of the lake. Originally, the Uros chose to retreat to this challenging floating existence rather than face subjugation to the Inca and other powerful peoples who controlled the shores of the lake. Islands are constructed by binding together the buoyant sod blocks created by the roots of the totora reeds. Then, layer upon layer of the reeds are added to create a dry, stable, if springy surface on which the Uros people build homes. The Uros people even built their homes and their boats from the these reeds, in addition to eating them as a substantial portion of their diet. It turns out that determined people can do incredible things, even when presented with what to some might seem an impossibly narrow set of resources. Today, this small tribe has largely returned to shore, but a small number retain their original lifestyle far from the eyes of prying tourists. What you see here is a sort of showcase for the curious to learn about their way of life. I spent the night on the island of Amantani, the second largest island on the lake, home to some four thousand villagers. My host was Faustina, a kind woman in tradition dress, and her son, Samuel, the only fourteen year-old I’ve met to be impressed with the game of thumb wrestling, which I showed him after dinner. That’s a testament right there to the isolated life that the island of Amantani offers its inhabitants. It is a gorgeous place with stunning views of the lake. The Inca built temples to Pachamama and Pacha Kamaq, mother earth and father earth respectively on the islands high peaks. Modern residents farm potatoes and quinoa on ancient terraces, and many, like Faustina and Samuel, open their home to tourists wishing to see life on the island. I can’t help but think they must be confused as to why a bunch of rich Americans and Europeans would pay to come visit their humble home, it is readily apparent that this has raised the quality of life on the island from subsistence level to something more; Faustina had just added a flush toilet and a brand new tin roof to her home. It is hard to argue with that. My night on Amantani was warm, despite the cold, and I even got a clear view of the southern night sky. I’m struck in both cases about how people are using their culture and heritage to leverage a financially stable present. Some of the people I was with complained – tourists criticizing it, of all things, as tourist-y. One even compared it to a human zoo. And on one hand, I can see what they mean. There is a certain element of authenticity that a certain kind of tourist expects, like they are Indiana Jones making some original discovery in the field. But that is a very privileged expectation – and one that gives local Peruvians little agency in the whole thing. They don’t need to be discovered. They’re doing what they’ve done for decades or centuries, as the case may be. I give them props. Despite lacking so many things in life, despite facing some truly harsh conditions in the natural environment around them – they have recognized that they have something that we rich tourists desperately want and are willing to pay for. A chance to see them authentically being themselves. Why shouldn’t that be a marketable asset?